Loving our living room on wheels. 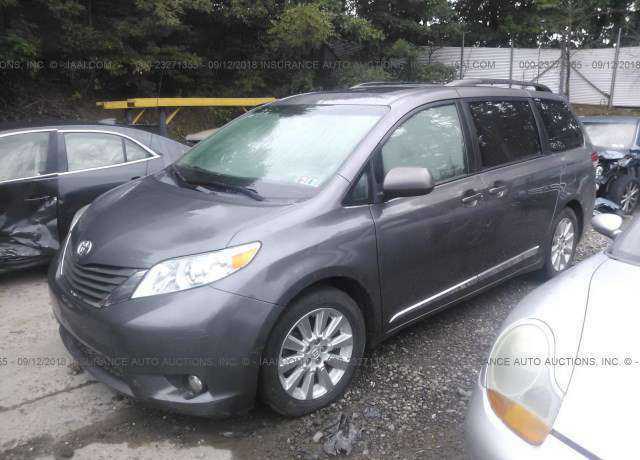 I just purchased a 2014 pre owned Toyota Sienna. I have only owned the Van for a month. So far I love how it drives and the space it gives our family. I have 3 kids under the age of 9. I love the blue tooth and how I can play music from my iPhone. Its been such a luxury after driving a 2005 Toyota Corolla for 13 years. I would have liked to buy newer and have all the updated luxuries. However, my budget would not allot for this. Hopefully the next time around. But I bought my kids portable DVD players for entertainment that work just as good. I live in a mountainous area. We get all kinds of weather, but winters can get bad with snow and ice. So I love that the Toyota Sienna is offered in AWD. It also offers leather seats. Something I did not have in my last car. So much easier to clean and take care of with kids. I definitely think that if you are looking for a van the Sienna is something I would check out. The only issues I see that other vans have is storage space under the seats. The Sienna offers recliner captains seats. Although this seems coolant first. I have mixed feelings about them. I feel that for kids they are great. But do not fit well if you are an adult with long legs. I would of rather of seen Toyota use that space for storage space under the seats instead. I also wish Toyota offered more USB ports through out the middle and back rows. Since that is where my kids use all there electronic devices on road trips and outings. This could be offered in newer models. But its something I think would be wonderful if it is not. 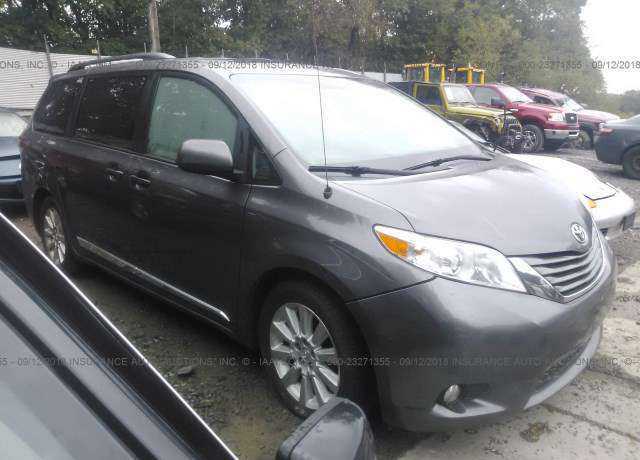 Overall I love our mini van and have and will remain a loyal Toyota customer and owner. Have loved this van, great get up and go, lots of space, and plows through snow without a problem. I have owned three Toyota Siennas. In June, 2015, I purchased a two year Prepaid Maintenance Program Extension on my 2013 Sienna for $299. We do not drive a lot, and so when this car was destroyed by a careless driver, and we purchased a 2015 Sienna, I took the paperwork down to Stevinson Toyota on Havana in Aurora, Co. to get the maintenance contract transferred. I was SHOCKED when they said all they could transfer was $169.94. None of the contract had been used. THAT IS TANTAMOUNT TO THEFT OF $130 OF OUR MONEY. 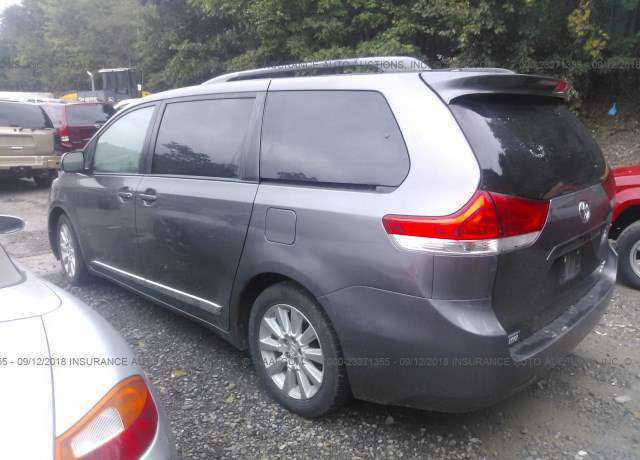 This is our 4th minivan and we believe that many of the features have been steadily improving. However, there have been a few things that have not. The front seats are far less comfortable than a few years ago in the Sienna. The 2014 came with no GPS and a teeny backup camera screen - I added an aftermarket unit and it made all of the difference. The 2015 started to make the larger screen standard. Lastly, road and wind noise has been an issue - passenger side wind noise is fairly obnoxious. Overall the van is great and we hope the 2016+ models are improved. Buying this is the worst mistake ever.....so many problems, where do I start. My 2014 has 25k miles. When going downhill with slight braking the whole van shakes. The drivers door power window motor needed to be replaced due to a buzzing sound when being rolled up. (It took 2 dealer trips before I could get the dealer to put in a new motor, now it's fixed). The stereo controls on the steering wheel for the volume and channels work intermittently. Sometimes I can push them greater than 20 times in a row before they start working. The dealer refuses to do anything for this because they can't re-create the problem while it's there. The stereo (with Navigation) itself has the weakest reception I've ever seen in a car yet the dealer tells me they know of the problem but there is no fix for it. It's usually mostly static and you lose all reception when driving on the fwy and drive under an over crossing. The paint on the bumpers is really bad. Every time I get a yellow pollen spot on on the front bumper it STAINS it! Even cleaner wax doesn't take it off. The paint on the top of the rear bumper was just slightly rubbed when taking something out of the back of the van and it took the paint off down to the black! The climate controls AC/Fan blow out a weird smell every now and then and when running just the fan with no AC, there is a weird humidity that comes out of it. The car battery died (bad cells according to the dealer) at just one year old. The grey on the "leather" steering wheel is flaking off and starting to show black underneath (remember just 25k miles). I'm sure there is more but that's just off of the top of my head. The VSC light comes on causing the cruise control to stop working. 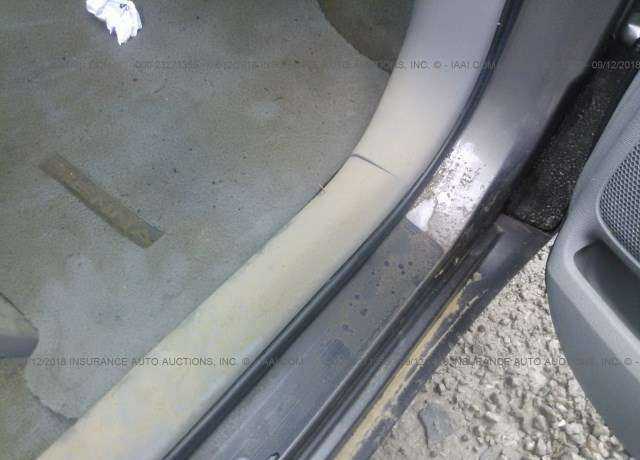 Dealer says $2,000 fix. Headlights went bad. $100 each except one will cost $1,300. According to dealer there's a computer for each headlight. Poor engineering. I had a 2001 sienna and loved it. This '04 is junk. Don't buy these cars. Decent minivan. After owning a Honda this was our first Toyota minvan. Most of the features we have been happy with. The BIG disappointment is the run-flat tires. I'm not sure why Toyota has stuck with them so long. The cost 2.5X times normal tires and wear out in 25K miles! This is a huge maintenance cost and bring the total value of the car way down. I'll never buy another car with run-flat tires. First minivan and I love it. I'm more focused on practicality in our family and after noticing that my 4 year old nephew had issues climbing into our Traverse, I knew it was time to think seriously about a minivan. 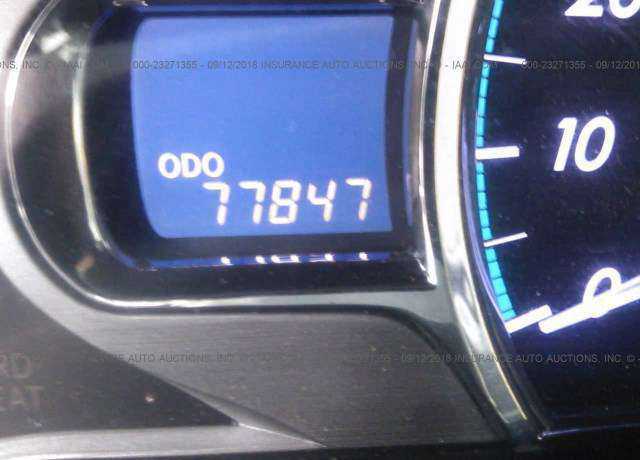 We owned a 2010 Venza which we traded in after 75,000 miles and other a slight manufacturing defect with the 4-cylinder engine which was repaired under warranty, I took care of that car and it hummed along at 75,000 miles like that day we drove it off the lot. Needless to say I was sold on Toyota and noticed the difference in long-term build quality between it and our Traverse. I love this minivan! A couple things about Toyotas that buyers should know: 1) Toyota is practicality and *quality* first, which means that there are sometimes design issues (especially with the interior) that may annoy, but they do not compromise the integrity of the vehicle, and the car will still last longer than any American-made pile of junk; 2) Siennas are made to be torn up by little kids, so don't expect Lexus-like appointments (my husband's '12 Avalon is far, far, faaaar superior to my top-of-the-line XLE minivan). So, don't be silly--understand what you're buying, and you will be be pleased for many years to come! I just returned from the Toyota dealer. I had made an appointment to repair the rear brakes that freeze every time the van is washed in winter. I was told by the service advisor not to wash the van when the temperature is below 32 degrees. I have owned several other mini vans & cars & have never heard of anyone being told not to wash your vehicle. We will never buy another Sienna again. 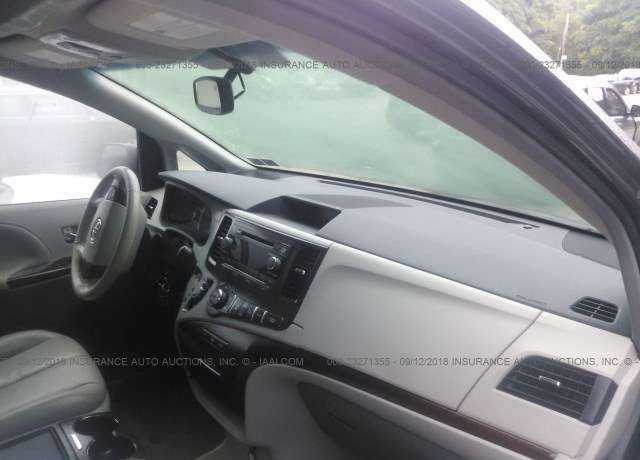 It is a 2014 XLE and was purchased new. Replaced a 2009 Oddy. Based on great 1999 Camry experience, expected the Sienna to be better. So far, not so good. The main problem is the speedometer is wrong. It overstates speed 3-5 MPH. 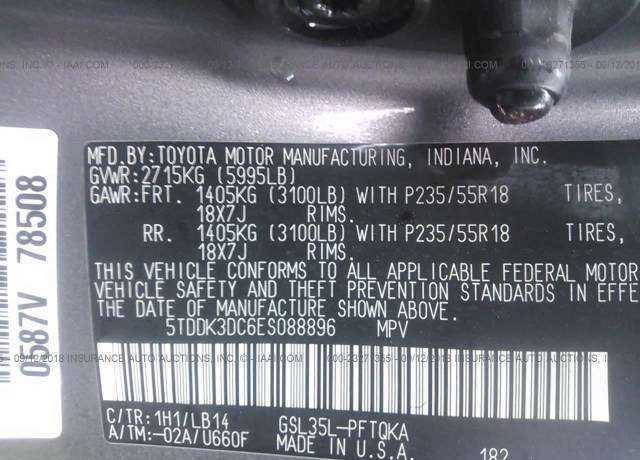 Our dealer in Tyson Corner, VA says it's normal and Toyota seems to agree. Granted, better than understating speed, but not what I expect of Toyota. Another surprise I didn't notice pre-purchase is that the 2nd row seats don't completely remove from the car. There is a substantial harness that remains above the floor. Wouldn't be able to carry drywall for example without damaging it. Never occurred to me to check after flat floors in past 3 minivans - Honda and Dodges. Buyer beware. Update 7/2016: still underwhelmed by the Sienna. We've managed to get used to compensating for the speedometer issue. We haven't had to haul a lot of cargo without the seats installed so the 'bump' hasn't caused a problem very often. I would add to the disappointments the sound system, especially with satellite audio as a source - it just doesn't sound very good at all. Keeping the car connected to my wife's iPhones (two different models so far) has been finicky at times. Toyota's choice to limit use of features like navigation while the car is in motion is frustrating. It had been helpful in previous cars for the front passenger to enter an address or look for a nearby restaurant, etc. while we were driving down a highway - that's not possible with the Sienna. So we find ourselves ignoring the car's systems in favor of using our smartphones - I suppose that's where everything is headed anyway. Other issues include significant road noise and a feeling of the engine being under powered at times. Ok, so enough complaining - what do I like? It has been reliable so far requiring only regularly scheduled maintenance, but that's what I expect. Overall, I imagine we'll be looking at a different brand next time. I am pleased with this car, 15k miles in except for the run flat tires and lack of a spare. the AWD versions of these vans have this serious design flaw, and the run flat tires are twice the price of standard tires, and wear twice as fast. So the buyer can figure on a factor of Four times the expense for keeping rubber on this car. As a lessor, I am disappointed that I will have to buy tires at least once for this car, and the run flats are absolutely awful for AWD traction and performance once they get to 4/32. Perhaps the worst Toyota among 7 that I owned in the past 14 years. Had a pleasure to own two 4Runners, 2 GX470 and 1 GX460, 1 Highlander. This Sienna is wrong in almost every department but biggest is by far rattle and squeaks from cheapest plastic panels that 2014 Sienna has. Impossible to to mitigate those issues. 3rd row seats rattle loudly even after anti-rattle kit was installed. Inside the van it is obnoxiously loud, all road noise comes in at highway speeds that you need to crank radio just to hear it. Certainly, not good for long trips, we bought it to take on the cross-country trips but what a mistake it was. 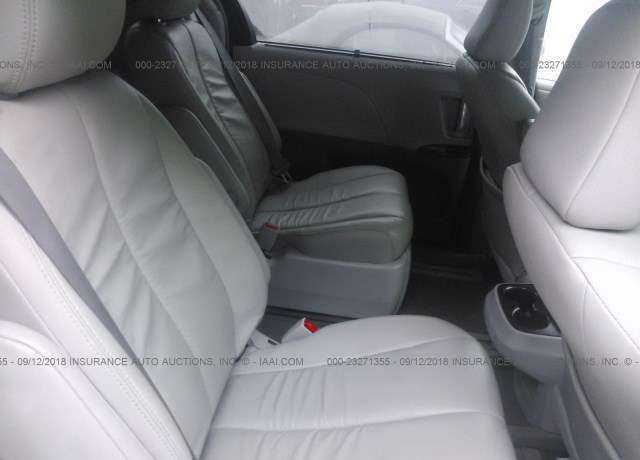 I purposely looked for a "base" XLE without Navigation/Entune or rear entertainment (DVD) to get the more comfortable leather seats (front only, rear softex) and minimize options which would be expensive to repair after warranty. This is my second Sienna, with a 2011 Odyssey purchased in between. I've read comments about the Odyssey being a better van, BUT my 2011 Touring ended up having transmission and engine issues, and it was an expensive vehicle. 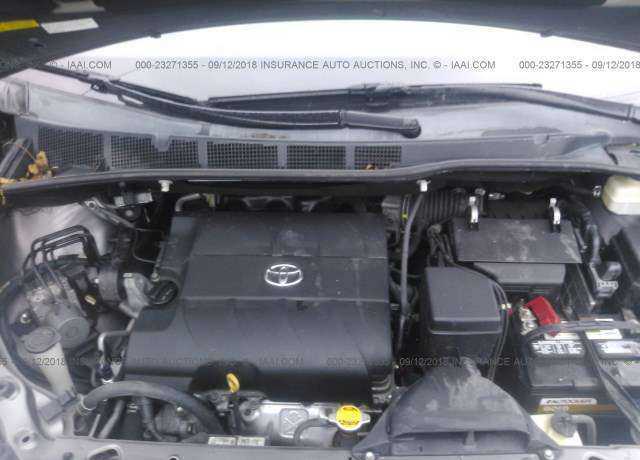 The Sienna has a great engine/trans combo, and the interior is very comfortable and spacious. TWO YEAR UPDATE: We initially leased our Sienna because it was our first minivan and we were unsure if we'd like. After two years, we loved it so much we bought out the lease. While at the dealership, they offered us $4,000 more than the buyout because the fair market value of the vehicle was so high. We decline their offer and kept our Sienna. After two years, we had zero problems with the van. The kids like that they can easily get in and out of the van by themselves, and close the doors. We've driven it cross-country and it excels in that role. There's plenty of space for luggage, tons of cupholders, good highway fuel economy (26 mpg), and a comfortable ride. My biggest complaint is the small screen for the backup camera. That's not really the van's fault, as a larger screen was available when new and I declined that option. My wife's favorite feature is the storage spot for her purse. It rides comfortably below the center stack. The front or rear seat passengers don't have to hold it and it's out of the way but easily within reach. ---------------------------- Our Sienna is the vehicle we should have gotten years ago instead of an SUV. It is incredibly practical despite its geeky image. The interior is often a sore spot in Sienna reviews, but many confuse a minivan with a Lexus sedan. The hard plastics in the Sienna are designed for contact with snot-nosed kids with their greasy popcorn hands. The interior of the Sienna is much easier to clean and will hold up better to hard use compared to something with soft-touch plastics. The Sienna does not have the reliability problems that the Odyssey has. Honda V6 powertrains have a history of eating transmissions and, lately, engines. Too bad, because the rest of the Odyssey is very nice. Cheap plastics, fabrics (floors), finishes in cabin makes its interior look cheap even though I've got XLE+Navi option. Comparing to previous Sienna model with same trim option, it has less leather surface than older models to save its cost. You will find other cost saving effort from Toyata, unless you are paying $40.000+ for limited edition. Check its keyless remote, interior finishes, XLE's leather finishes/quality, they are lower than average car. Especially you are also considering Oddysey Ex-L+Nav I agree on smooth ride and handling, but overall, I regret. 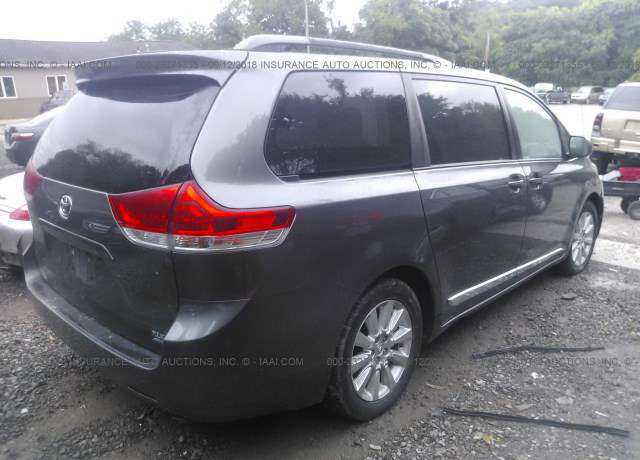 If I buy again, I will go for Kia Sedona or Honda Pilot. It was difficult deciding among Toyota, Honda and Kia. All have their good points and drive well. I bought the Toyota four weeks ago, and I am happy with the decision, though I'd probably be just as happy with the Honda and Kia. 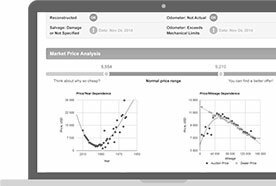 I have the blind-spot monitor option ($500) and like it a lot. On the Sienna it is on both side-view mirrors; on the Odyssey, it is only on the passenger side. The long-slide 2nd row seats allow for almost 19" of leg room in the 2nd row, though that would leave almost no leg room for the 3rd row. Both 2nd and 3rd rows have shades. Entune and navigation system are great. Lots of cargo space behind 3rd row. 3rd row seats store easily, but not as easily as Honda's. I've had this car for 2.5 years now, and I am highly satisfied with it.